For centuries, yachting has captured the essence of some of life’s most priceless gifts: adventure, exploration and memories. Visit any coastal town and marina, and you will be greeted with glittering boats of all styles and sizes, quietly awaiting their owners, who dream of their next adventure on the water. The call of the sea is strong, and once it takes hold, boating often becomes a lifelong passion. That passion then fuels many enthusiasts to seek bigger, faster, more luxurious, more wonderful vessels to take out, each equipped with every amenity imaginable to take full advantage of life on the blue. Like a great expedition, the history of yachting is a long and winding story. As long as there has been water, humans have set out to explore and experience it, whether for adventure, survival or transportation. With advancements in technology and construction, the vessels facilitating such experiences have evolved accordingly. Generally speaking, a yacht—based on the Dutch word “jacht”—is any privately owned vessel used primarily for leisure. This can include both sail boats and powerboats, and normally refers to boats that are at least 30 feet in length. A “superyacht” or “megayacht” refers to yachts over 100 feet in length, although the exact distinction between the two is disputed in the yachting world. Custom yacht builder Burger Boat Co. dates back to 1863. Much like the origins of the word itself, yachting for leisure can be credited to the Dutch—who continue to build some of the most jaw-dropping yachts seen cruising the water today. England’s King Charles II was one of the first well-known yachting enthusiasts. After being exiled in The Netherlands, he was presented with a gift from the Dutch upon the restoration of the monarchy in 1660. The gift was a 52-foot gaff-rigged sailing yacht named Mary, built by the Dutch East India Co. and equipped to carry 30 crew as well as six three-powder guns. Mary became the first official Royal Yacht of England’s Royal Navy. By the time he died in 1685, King Charles II had owned 27 yachts, aboard which he enjoyed racing, oceanographic missions and cruising up and down the River Thames with friends and many guests of importance. A century later, the 83-foot Cleopatra’s Barge would be the first luxury yacht built in America. The brigantine was crafted in Massachusetts in 1816 and fitted with opulent décor, high-end furnishings and even boasted indoor plumbing. It became the first pleasure boat to sail across the Atlantic. In the United States, the convergence of the Industrial Revolution, the War of 1812 and the invention of the steam engine paved the way for yachting as a pastime. When Robert Fulton developed the first commercially successful steamboat in 1807, the transportation of goods and people took off. Built in 1825, the Erie Canal facilitated transportation between the Great Lakes and the Atlantic Ocean, further propelling the country’s emphasis on manufacturing and export. By the early 1900s, the Industrial Revolution had spread throughout the country. America’s leading families profited from the exponential growth, and by the turn of the century a competition of sorts between the wealthy families, such as the Vanderbilts, Hearsts, Astors and Morgans, led to an increase in the number and size of private yachts. Steam yachts first made an appearance around 1822 and steadily increased in numbers up until the turn of the century, although World War I saw many of these yachts taken over for war service. The 275-foot presidential steam yacht USS Mayflower was built in 1896 and hosted five commanders in chief, from Theodore Roosevelt to Calvin Coolidge. Over the years, grand yachts transported presidents and heads of state and even hosted influential meetings that determined world affairs. The 1929 Wall Street crash brought the pace of yacht building to an abrupt halt, which did not fully recover prior to the outbreak of World War II in 1939. Following cessation of hostilities in 1945, many war-built patrol boats and other vessels were converted to yachts, and the pastime resumed. In the 1950s and 1960s, exquisitely crafted wooden vessels made in Sarnico, Italy, by Riva (which had been manufacturing boats since 1842) began showing up in Italian lakes and along the Italian Riviera carrying successful businesspeople, award-winning athletes and movie stars whose photographs have defined the era. Brigitte Bardot’s appearances aboard Rivas and other yachts in the waters of the sleepy coastal town of St-Tropez, France, helped to transform the area into the see-and-be-seen hot spot it remains to this day, and icons like Audrey Hepburn, Grace Kelly, Sophia Loren and Elizabeth Taylor endorsed yachting as a preferred pastime. Even the young U.S. President, John F. Kennedy, spent time cruising the Potomac River aboard the Honey Fitz yacht. By the 1990s, motor yachts and sailing yachts were getting bigger and bigger. As technologies developed, so did the yachts. A historic boom in the mid-2000s propelled yacht building to numbers never before seen, both in terms of length of the yacht and numbers of yards springing up to build yachts all over the world. This was cut short suddenly with the financial crisis of 2008, but has resumed again. 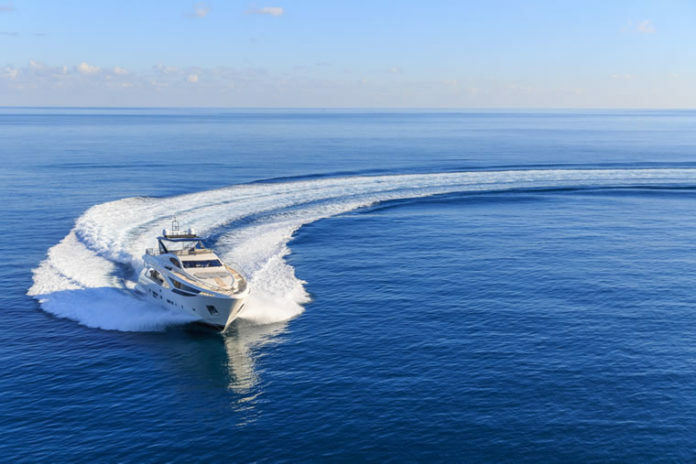 “Although there have been a couple of hiccups owing to the global economic situation, the large yacht market is now many times the size it has ever been in the past,” says Malcolm Wood, a yachting historian based in Antibes, France, who is often called upon for his endless knowledge of all things nautical in the superyacht world. Today, yachts are built in a variety of styles and lengths and are equipped with nearly every option imaginable: helipads, full-length pools that convert to dance floors, elevators, fully equipped gyms, state-of-the-art entertainment and theater rooms and even full-service spas and beauty salons can be found on board. The vessels can be meant for sailing, racing, expedition, long-range cruising or short coastal jaunts. They are constructed of steel, aluminum, fiberglass or carbon and powered by wind, diesel, water jets, Azipods (gearless steerable propulsion systems), integrated propulsion systems, hybrid, electric or lithium-ion battery. The new designs are often striking and colorful; they can be pioneering in their use of glass or fitted with traditional teak and mahogany. 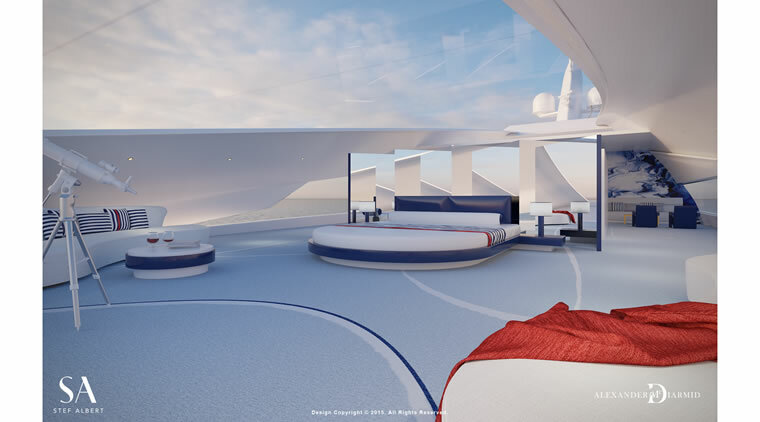 Modern yachts implement innovations in design and technology intended to promote the onboard experience. Formality has been replaced with casual indoor-outdoor living, inviting outdoor deck spaces and eco-friendly interiors. Prominent berths have given way to private cruising and expedition charters that take the owners and their guests to remote and exotic destinations. “Beach clubs”—opening garages at level with the sea that can be equipped with water sport equipment, lounging chairs, showers, full bars, and even gyms and spas—invite interaction with the waves. Enjoying the water from today’s yacht involves so much more than swimming. Onboard water toys like diving, snorkeling and fishing gear, Jet Skis, paddleboards, giant inflatable slides and more facilitate fun, adventure and exploration. Yachting has evolved from a means to transport and entertain guests of importance to a lifestyle, one that represents and embodies life’s deeper meaning—the luxury of time and enjoyment. In the spirit of exploring and enjoying life’s deeper meaning, health, spirituality and wellness have taken a role at the forefront of the luxury yacht experience, with yachts incorporating everything from gyms and spas to massage therapy, yoga and fitness instruction and meditative spaces, all complemented by culinary offerings that suit every dietary preference. “Whether for owner, charterer or guest, wellness and individual experiences are now tailored to the onboard yachting experience,” says Alexander McDiarmid, a yacht designer whose concepts continually push the envelope and question the traditional. “Owner and guest experiences are now focused more on health and happiness with personal interests including spa, sporting, fitness and leisure pursuits—along with the latest technology integrated into the yacht to help with and enhance such experiences. “Above all else, fun should rate at or near the top regarding the use of the yacht,” he says. From formality to fun, the evolution of yachting has followed a winding path, yet the vessels have always served the purpose of helping humans answer the summons of the sea. 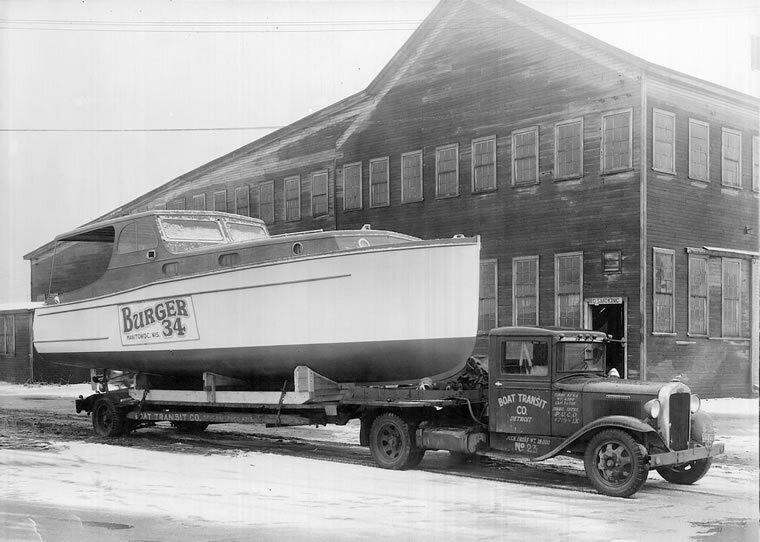 In 1928, the same year that Sea Island made its debut, Hinckley Co. built its first boat several hundred miles up the coast in Southwest Harbor, Maine. Since then, the prolific builder of both sail and powerboats has gained a reputation for quality, craftsmanship and pioneering technology in boat building. With the launch of its first fiberglass boat, Hinckley pioneered the use of fiberglass on a production scale in 1959. In 1994, Hinckley translated its recognizable lines into a “Picnic Boat” design, which spawned a category of yachts designed specifically for ease of operation. The Picnic Boat style led to the development of the company’s proprietary JetStick control, which was first implemented in 1998. Hinckley’s first jet-driven boat sparked a shift from sailing yachts to a whole new market defined by ease of use, family fun and enjoyment of the water. 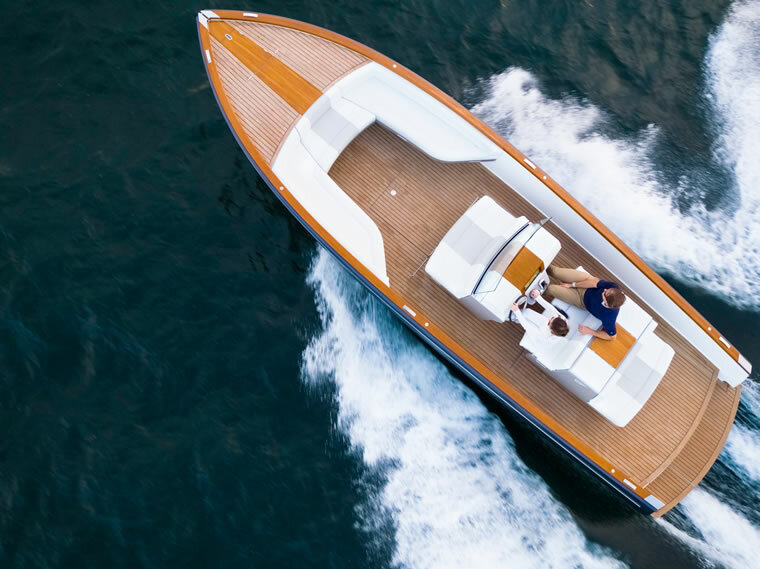 Continuously innovating, Hinckley recently introduced Dasher, the world’s first fully electric luxury yacht. 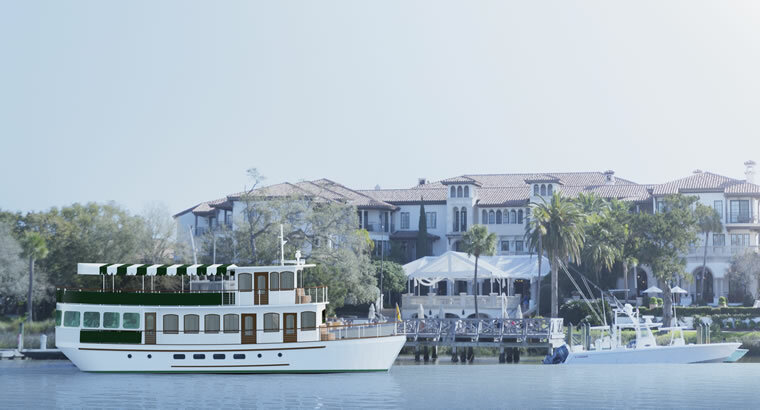 As the resort celebrates its 90th anniversary this year, Sea Island invites guests and members to enjoy the yachting lifestyle aboard a brand-new 71-foot passenger yacht, Sea Island Explorer. Featuring a casually elegant interior designed by New York firm Champalimaud, the yacht will transport up to 49 passengers and six crew members for tours along the Black Banks River. All cruises will depart from behind The Yacht Club, and customized two-hour private tour options include food and beverage, a falconer with birds, historian and naturalist options. In addition, sign-up cruises during the day will focus on nature, and evening sunset cocktail cruises will be offered. It is also available for private charter by members and guests.